Great news for the `AGS` activities in Hungary! The favourite program element of the pilot project continues as of mid September 2011. Both mothers and children, and the `AGS` team are fond of the activity. 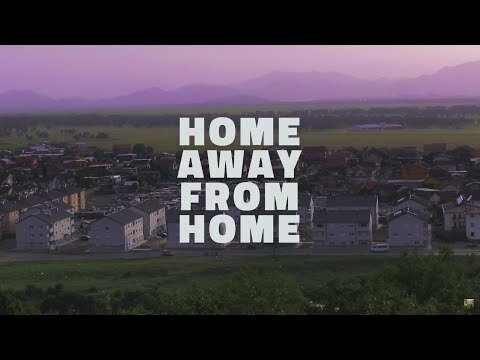 The Roma Magazin of the Hungarian National Television (MTV 1) has lately shot an 8 minute vidoe introducing the program, this time in Nagyecsed. Should you be interested, having not yet heard of it, or would you want to see the familiar faces again :) please click on the link below. Strasbourg, 21.07.2011 – To address the situation of the estimated 10 to 12 million Roma and Travellers, the Congress of Local and Regional Authorities of the Council of Europe is organising a Summit of Mayors on Roma, in Strasbourg (France) on 22 September 2011. Taking into account the depth of the problem of segregation of Roma in special education and the need to fill gaps in EU funding schemes in Slovakia, REF’s priorities for activities in Slovakia in 2010-2011 include a focus on providing technical assistance for relevant projects financed by the Slovak government with EU Structural Funds. The National Consultation on Roma Early Childhood Inclusion report took place with the participation of stakeholders from the government, civil society, international organizations, researchers Roma and non-Roma in Budapest on 6th of July. "I cannot count any achievements except the fact that we have a new ‘sentence’ in our language: The Decade of Roma Inclusion 2005-2015… the level of expectations was high back in 2005, but I really believe that the decade is a failure,” says Gelu Duminica, executive director of the Impreuna Agency for Community Development, a Roma organisation based in Bucharest.